To get started with Atom, we'll need to get it on your system. This section will go over installing Atom on your system as well as the basics of how to build it from source. The button or buttons should be specific to your platform and the download package should be easily installable. However, let's go over them here in a bit of detail. Atom follows the standard Mac zip installation process. 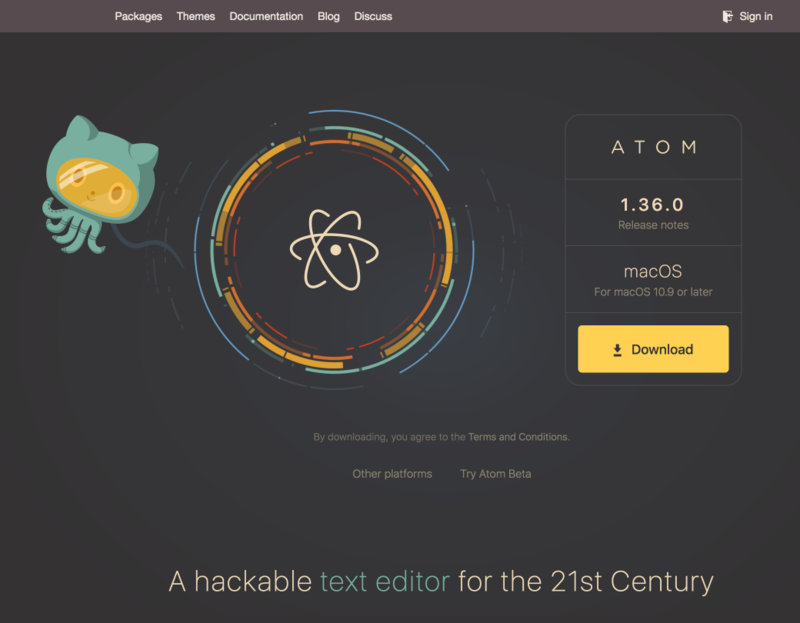 You can either press the download button from the https://atom.io site or you can go to the Atom releases page to download the atom-mac.zip file explicitly. Once you have that file, you can click on it to extract the application and then drag the new Atom application into your "Applications" folder. To install the atom and apm commands, run "Window: Install Shell Commands" from the Command Palette, which will prompt you for an administrator password. 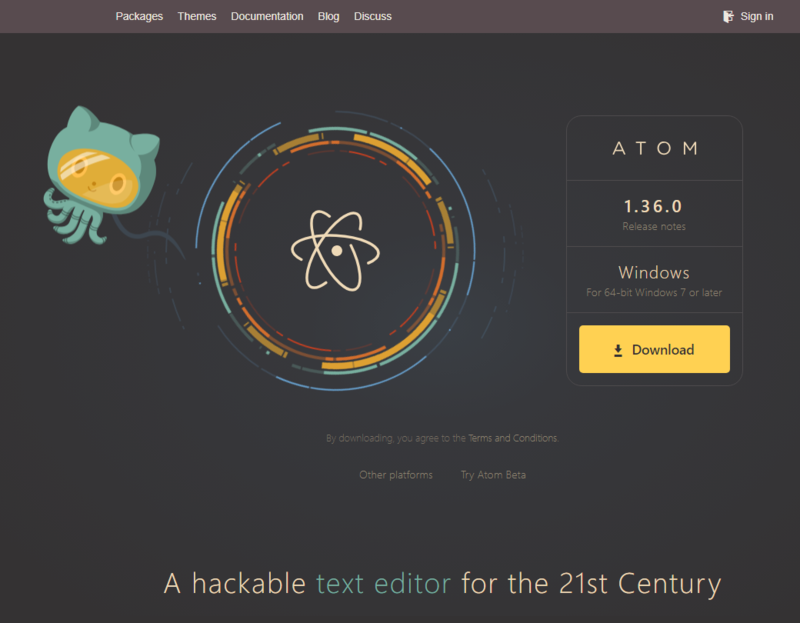 Atom is available with Windows installers that can be downloaded from https://atom.io or from the Atom releases page. Use AtomSetup.exe for 32-bit systems and AtomSetup-x64.exe for 64-bit systems. This setup program will install Atom, add the atom and apm commands to your PATH, and create shortcuts on the desktop and in the start menu. 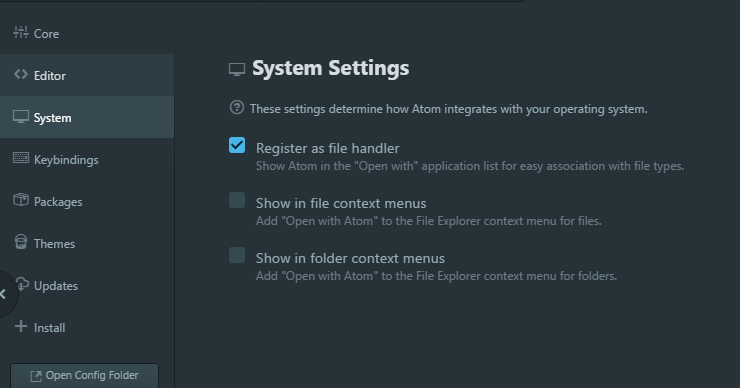 The context menu Open with Atom in File Explorer, and the option to make Atom available for file association using Open with..., is controlled by the System Settings panel as seen above. With Atom open, click on File > Settings, and then the System tab on the left. Check the boxes next to Show in file context menus, as well as Show in folder context menus. And you’re all set. 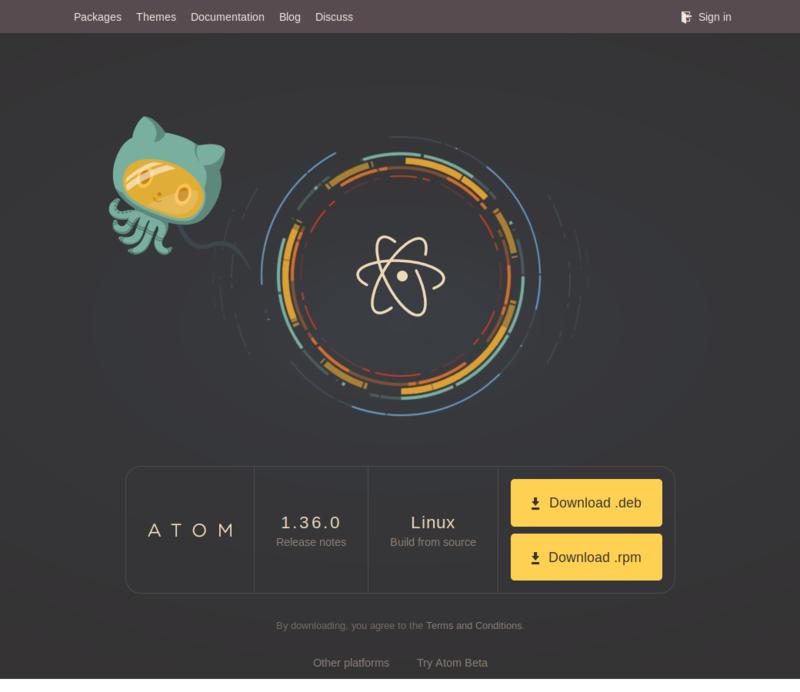 You can install Atom on Linux using your distribution's package manager by configuring it to use one of our official package repositories. This will also enable you to update Atom when new releases are published. Atom stores configuration and state in a .atom directory usually located in your home directory (%userprofile% on Windows). You can however run Atom in portable mode where both the app and the configuration are stored together such as on a removable storage device. To setup Atom in portable mode download the zip/tar.gz package for your system and extract it to your removable storage. The Hacking on Atom Core section of the flight manual covers instructions on how to clone and build the source code if you prefer that option. You can run apm config get https-proxy to verify it has been set correctly.